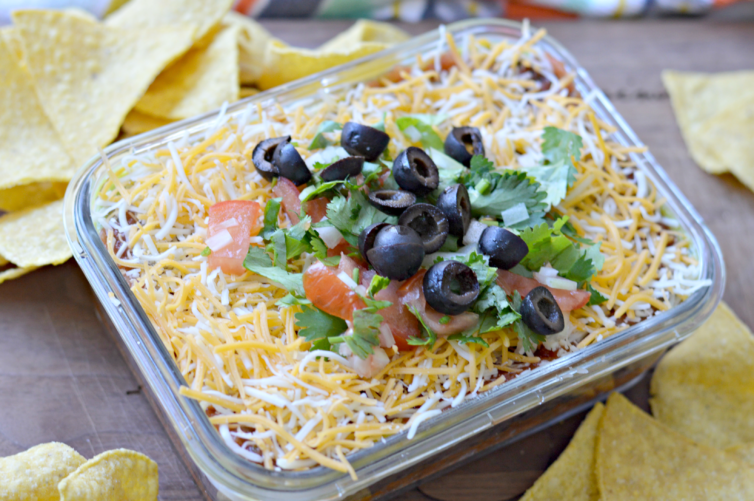 Inside: Learn how to make the classic 7 layer dip with a tex-mex twist by adding delicious Mexican style chorizo and pico de gallo. 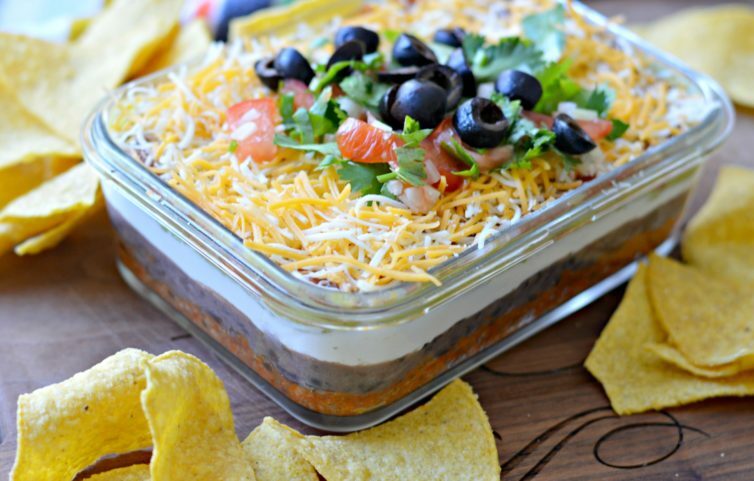 7 layer dip is a popular and delicious appetizer that is ideal for gatherings with friends and family. It includes a delicious combination of Tex-Mex ingredients that is fresh, tasty, and easy to make. I promise that it will be a hit at your next party! Here in the United States, menu preparation for Super Bowl parties starts weeks in advance. This is because the Super Bowl is one of the main sporting events of the year and usually takes place around the first week of February. During this time of year, everyone is looking for delicious, easy recipes to share with everyone that comes over to watch the big game. Even people who aren’t big football fans enjoy getting together with friends to share great food and make fun memories. 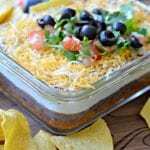 This 7 layer dip appetizer is very popular and is one of my personal favorites here in the United States. 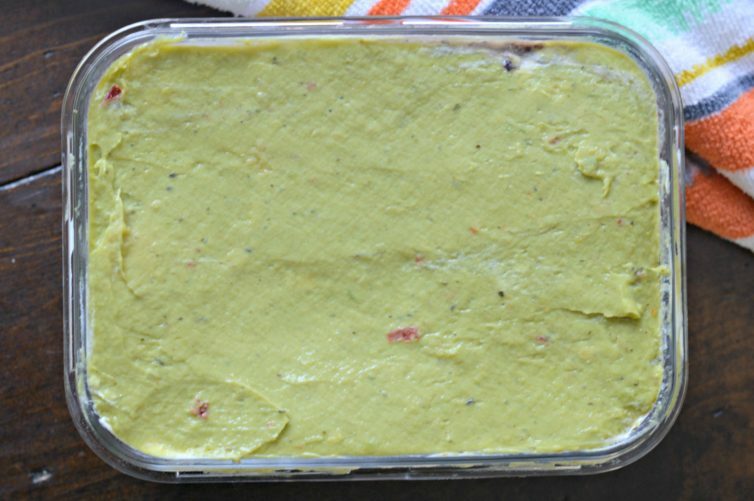 It has fresh ingredients like guacamole and salsa. You can find it at many different parties year round, but it is definitely most popular when watching sporting events. It can be accompanied with tortilla chips and you can make it in many different types of dishes. It is simple and delicious. 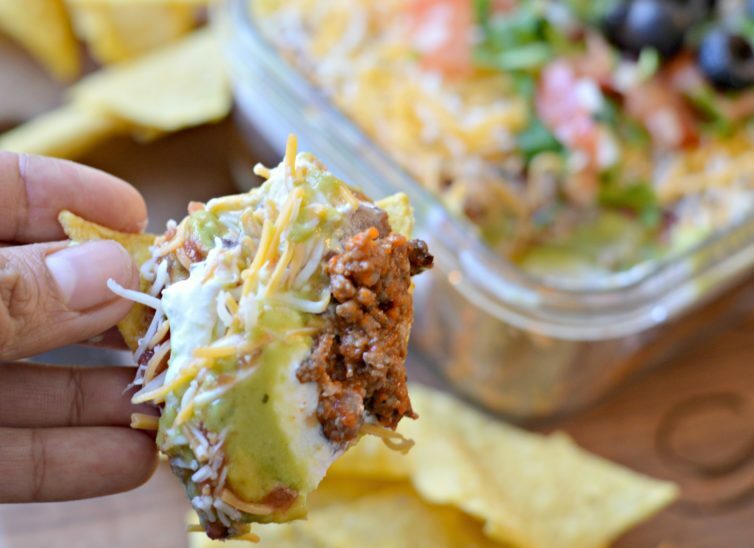 What Are The 7 Layers In 7 Layer Dip? 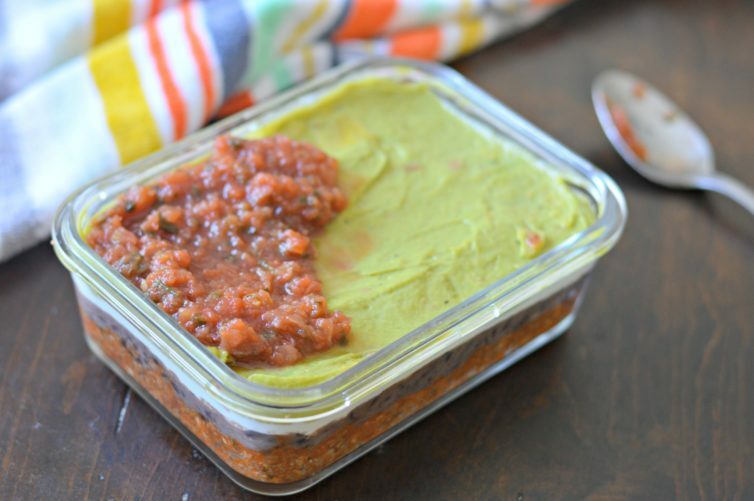 Salsa (I prefer salsa roja, but salsa verde is a good choice too). Ground Beef if you want, or you can replace it with Mexican-style chorizo sausage, which is what I did for this recipe. It is so easy to make. All you need to do is add each layer one at a time to the dish that you selected. Then you refrigerate it for a couple of hours and it is ready to enjoy with tortilla chips. This is such a great choice when you need to come up with something quick, and it is relatively healthy compared to other appetizers! Give it a try and let me know how it turns out. 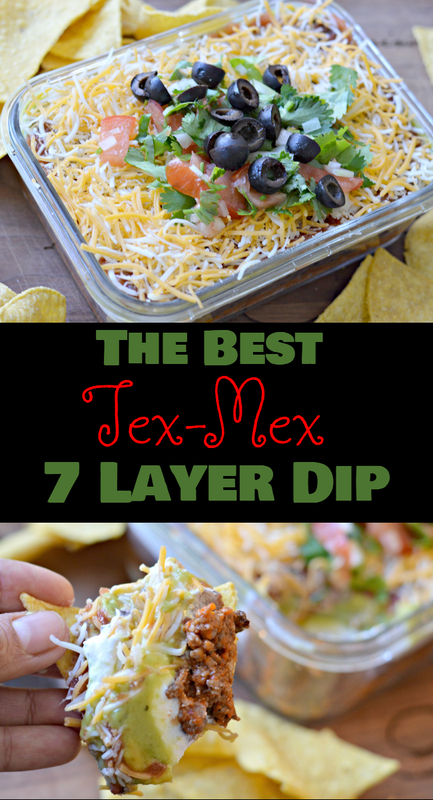 Learn how to make the classic 7 layer dip with a tex-mex twist by adding delicious chorizo style sausage. Start by cooking the chorizo in a frying pan with the ground cumin, salt, minced garlic, white onion, and cayenne pepper. Once browned, drain excess grease and set aside. If you purchase preseasoned chorizo, you can omit adding the seasonings. For the first layer, add the cooked chorizo on the bottom of your baking dish. Add the refried beans as the next layer, followed by layers of the sour cream, the guacamole, the salsa, and the cheese in that order. Make sure to spread each layer out so it completely covers the previous layer. Top with the black olives and pico de gallo. 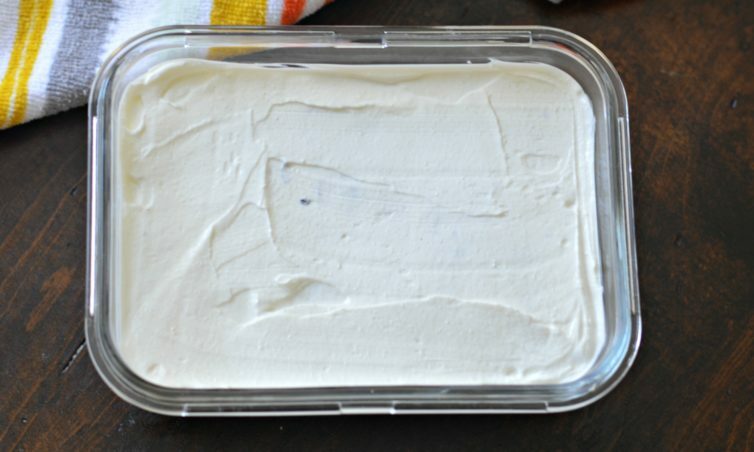 Refrigerate for at least two hours and serve with tortilla chips.